Camping is a simple hobby loved by families, weekend-warriors, outdoor enthusiasts and adrenaline junkies. I mean, who doesn’t love sleeping out under the peaceful, starry, night sky staring at the star constellations? The possibilities are endless and you can camp nearly wherever and whenever you wish, even in the winter. That’s right, camping isn’t just for spring and summer outings folks! Whatever the reason for your winter camping adventure, we want to ensure that you are well-prepared and ready to make memories in the snow! Read on for some winter camping survival tips. Winter camping, unlike summer camping, takes a little extra precautionary planning for obvious reasons; the daylight hours are shortened and temperatures and terrain have the potential to be more dangerous. Below are a few factors to keep in mind while planning and preparing for your winter camping adventure. Familiarize yourself with the terrain that you will be travelling and camping on as well as the route that you will be taking. Is it accessible by foot or do you need snowshoes or touring equipment? If you plan to tow a sled behind you to lighten the pack on your back, confirm whether the trail you are choosing is equipped for sleds or not. While researching the area which you are planning to explore, you should also check the travel times and available medical services if there are any should you encounter any problems. There’s a high chance you will not have cell reception where you are headed so other forms of GPS, maps and radios will most likely be necessary. If you do have a GPS, verify whether colder temperatures affect the electronic’s functioning ability. 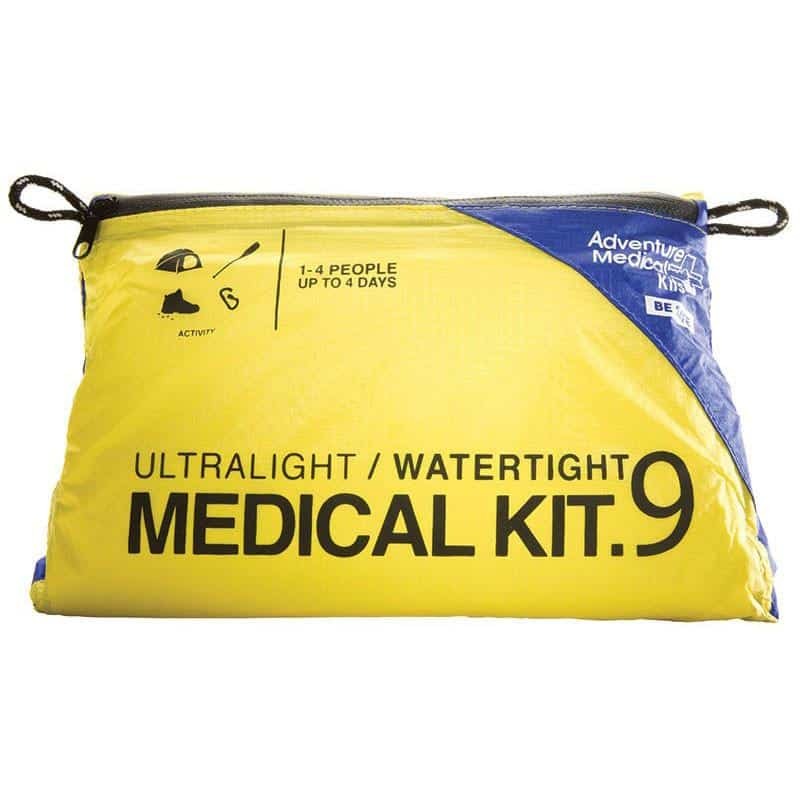 For winter excursions in the mountains, you should always carry a well-stocked first aid kit and have avalanche safety gear with you. While you’re checking the weather report you should also check the avalanche advisories and if you aren’t educated already, you should familiarize yourself with snow pack reading and other avalanche safety information by taking an avalanche safety course. 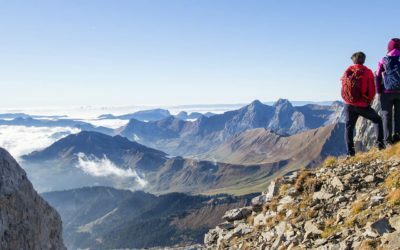 Mountain weather can be very unpredictable so do your best to set yourself up for success. Be efficient when you are doing your research and pre-trip planning and make sure you share your plans with friends or family so your location and itinerary are known. 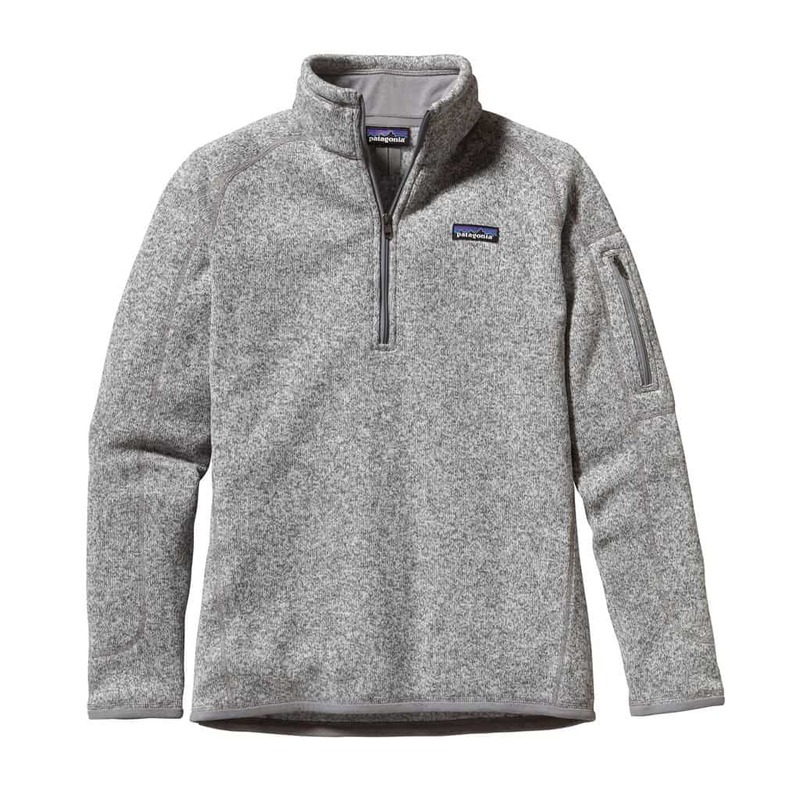 Layering is as important, if not, more important for winter, outdoor activities when temperatures are colder. Keeping yourself warm and dry is crucial and can be the difference between an unreal, winter camping experience and your last. Behold the golden rule of keeping warm during outdoor activities: dress in layers and always keep a couple spare, dry layers available in your pack for when the sun goes down. You want to make sure that you are layering effectively so that each layer does its appropriate job. 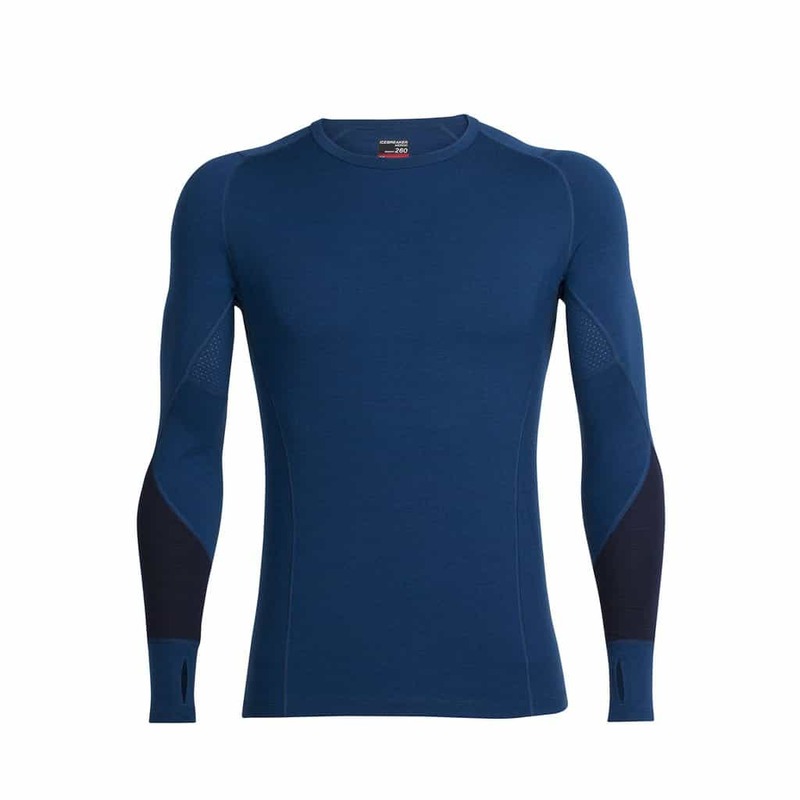 Base layers are your moisture-wicking layer so avoid cotton fabrics that retain moisture and are not quick-drying. 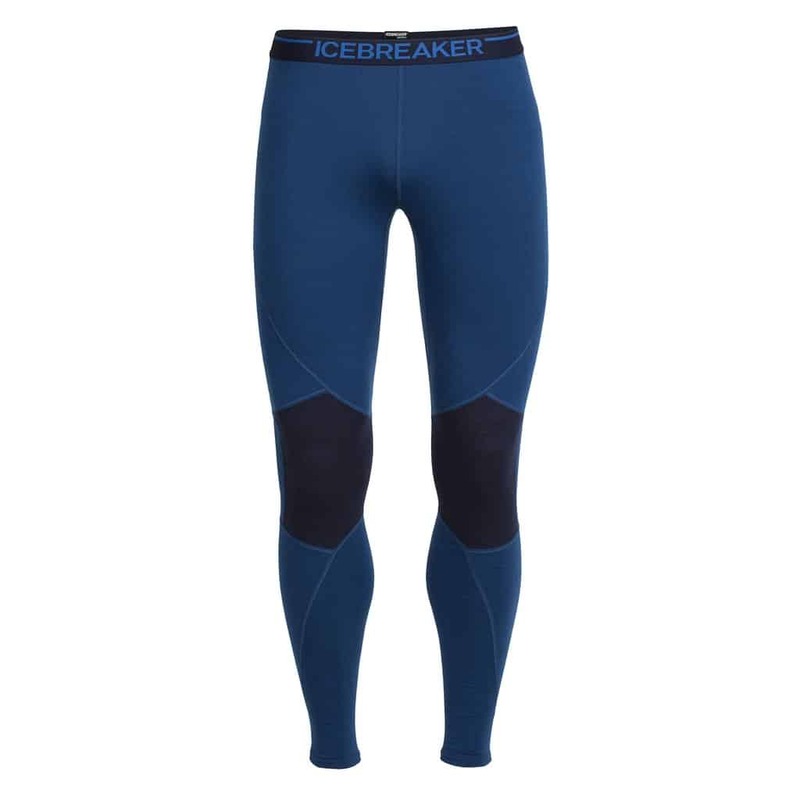 The most effective base layer choice will be a garment that is made of synthetic or merino wool fabrics. 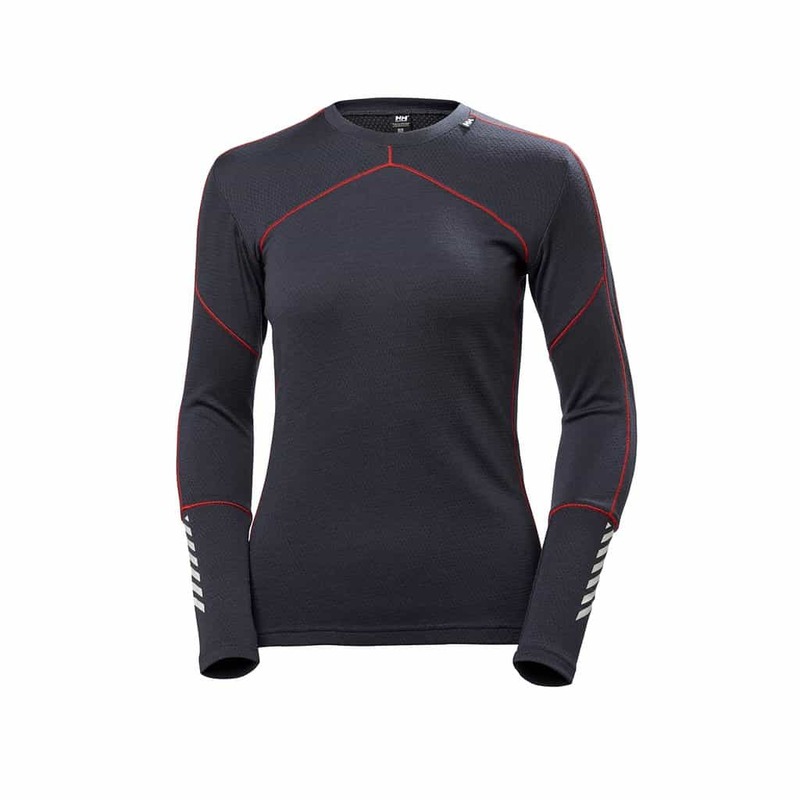 By picking a moisture-wicking and quick-drying garment, you will obtain a constant body temperature keeping you comfortable and warm for the duration of your activity. Next is your middle layer which works as your insulation layer and holds your body heat. 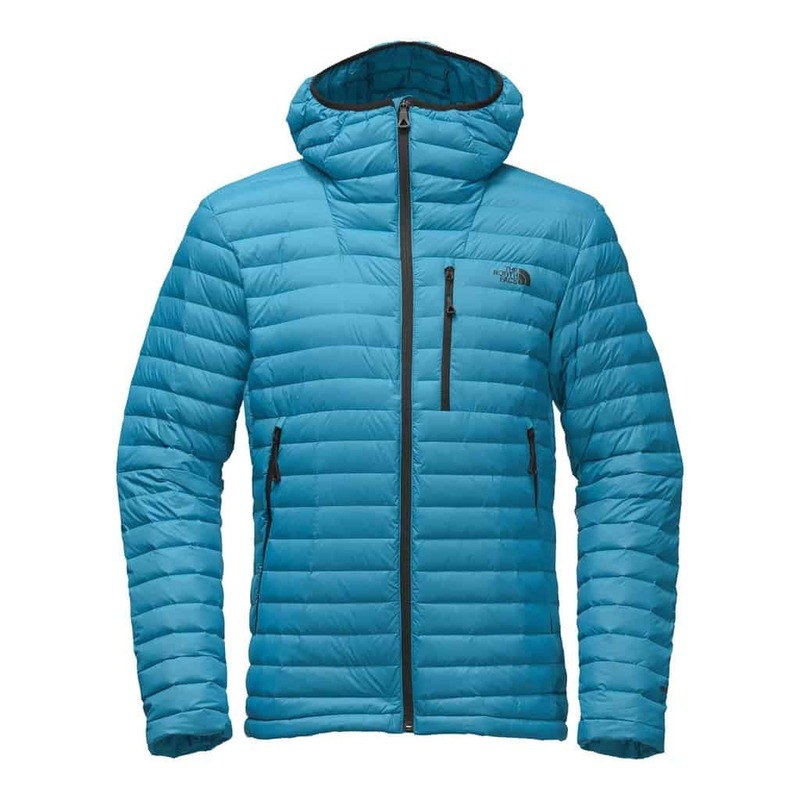 There are numerous layering items to choose from for your middle layer but the most common are either fleece or a down or synthetic jacket or hoodie. 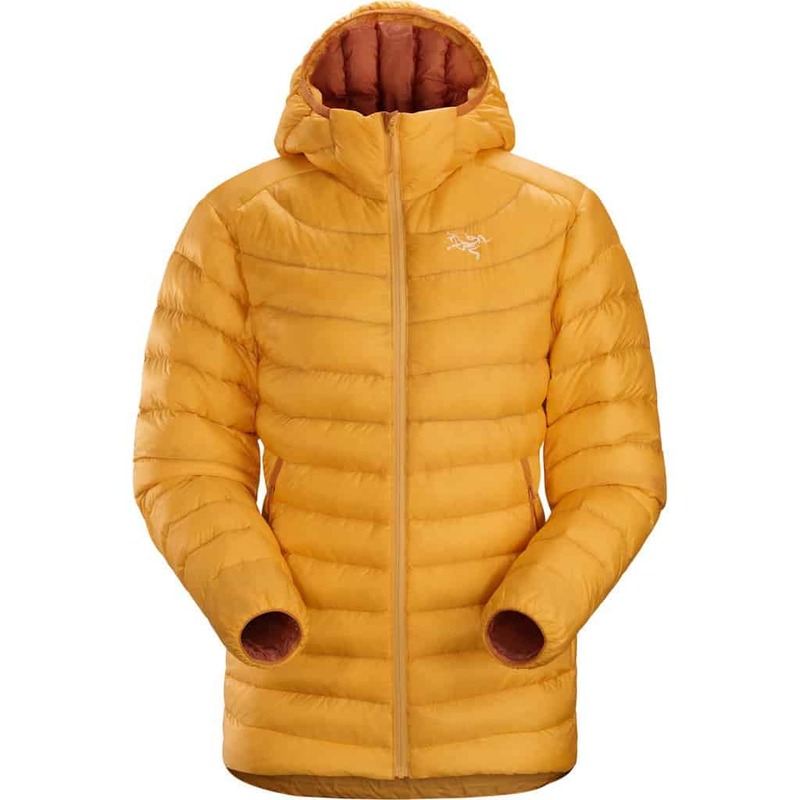 Generally, synthetic and down garments can be packed quite small and are a convenient layer to bring along both for their size and their insulating abilities. The third layer is your outer or shell layer. 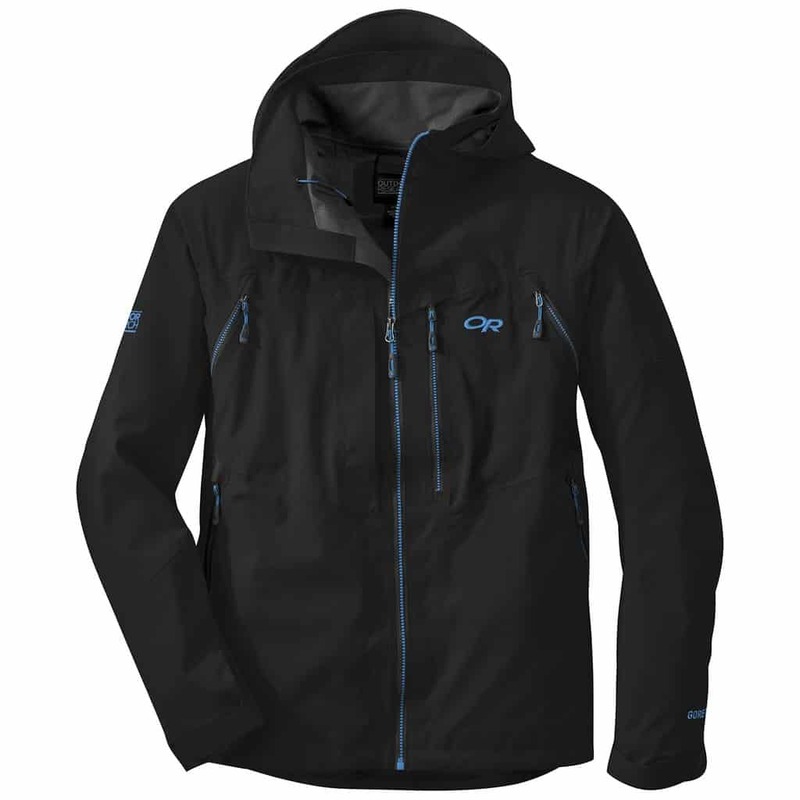 This is your climate shield and will be an essential part of your layering system. 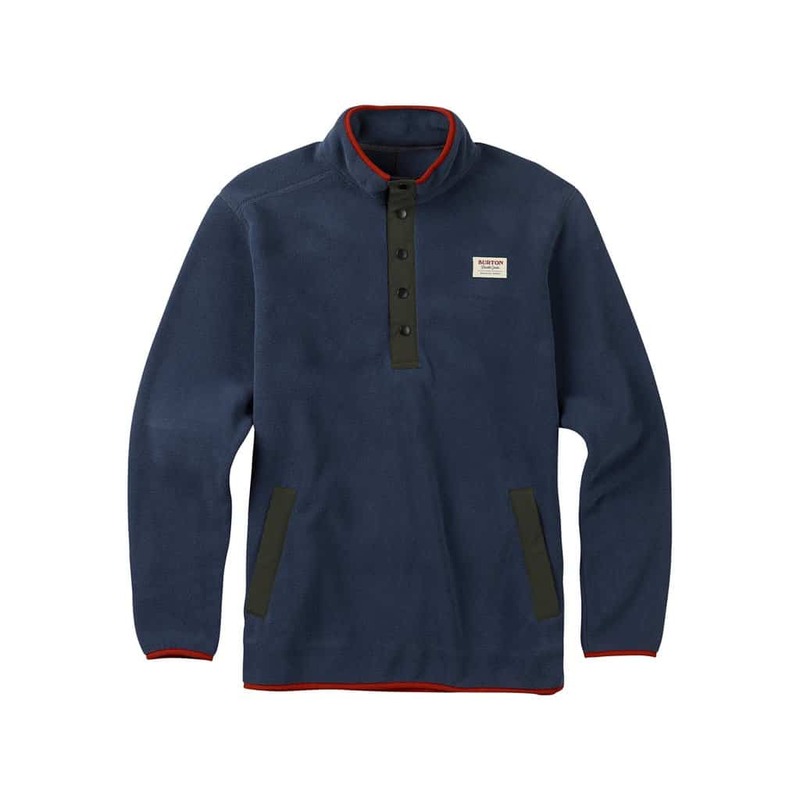 You want to ensure this layer is not only waterproof but breathable too. If you get too warm and the garment is not breathable, your layering system will be a bust because moisture will be on the inside. 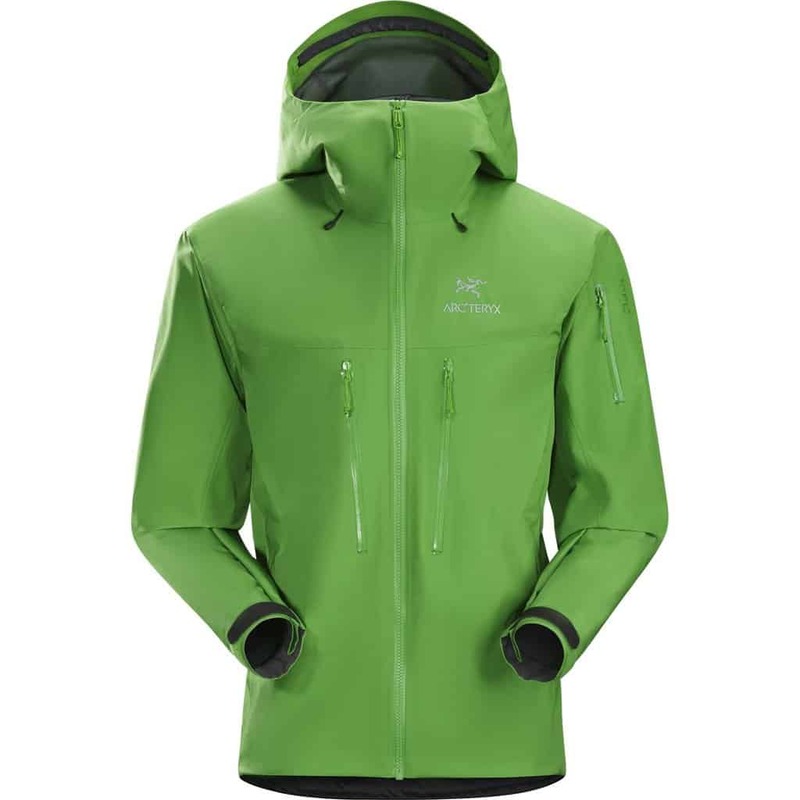 There are many waterproof shell options although GORE-TEX® is the most popular. If you are opting for a cheaper option, ensure that the garment is waterproof and uses some sort of polyurethane-coating. Armpit and chest zip vents enable breathability in a garment so look for these features as well. *Always keep your head and hands warm while exploring outside. Throw on a wool or synthetic toque and pack some gloves and glove liners to keep every bit of your body as warm as you can. 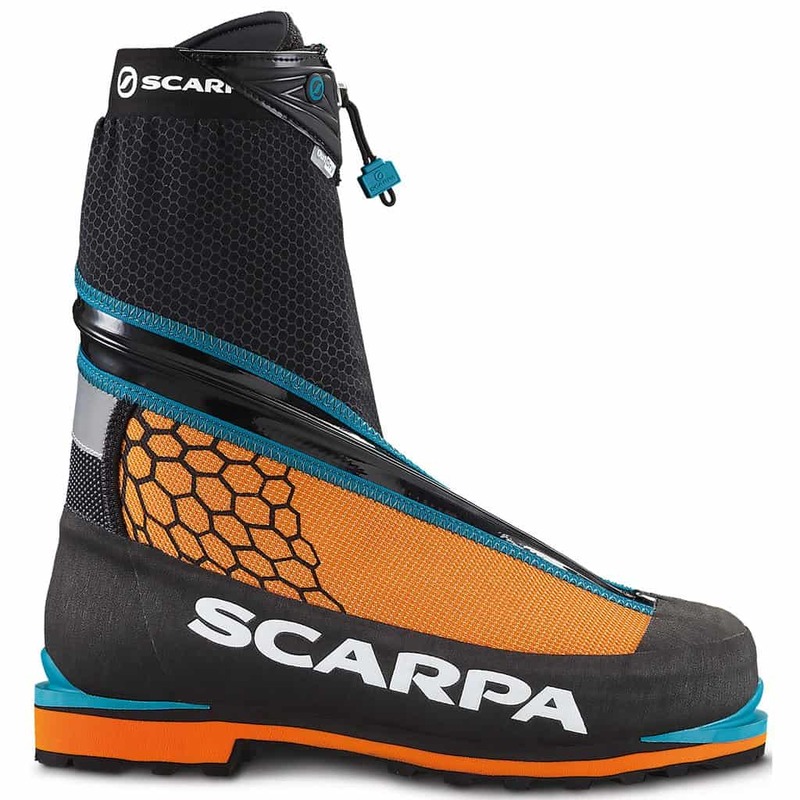 Whether you’re hiking into camp, snowshoeing or touring, you’re going to be on your feet for a better part of the day. In order to maintain a positive morale and get the most enjoyment out of your adventure, you want to make sure you have warm, dry, comfortable feet and adequate footwear. Wet, sweaty feet can lead to cold feet which can lead to bigger problems, like the rest of your body catching a chill. If you’re touring to camp then you have no choice but to wear your board or ski boots but for snowshoeing or hiking, ensure you are wearing regular footwear. 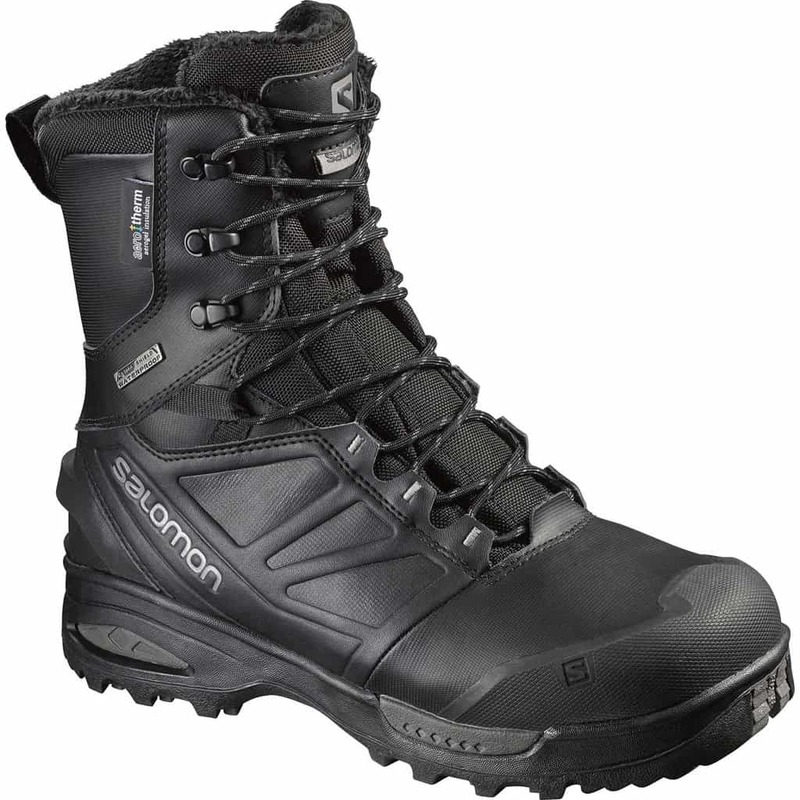 In some cases, you can get away with a pair of basic GORE-TEX® hiking boots but opting for some winter mountaineering or trekking boots will ensure your feet’s comfort and warmth. 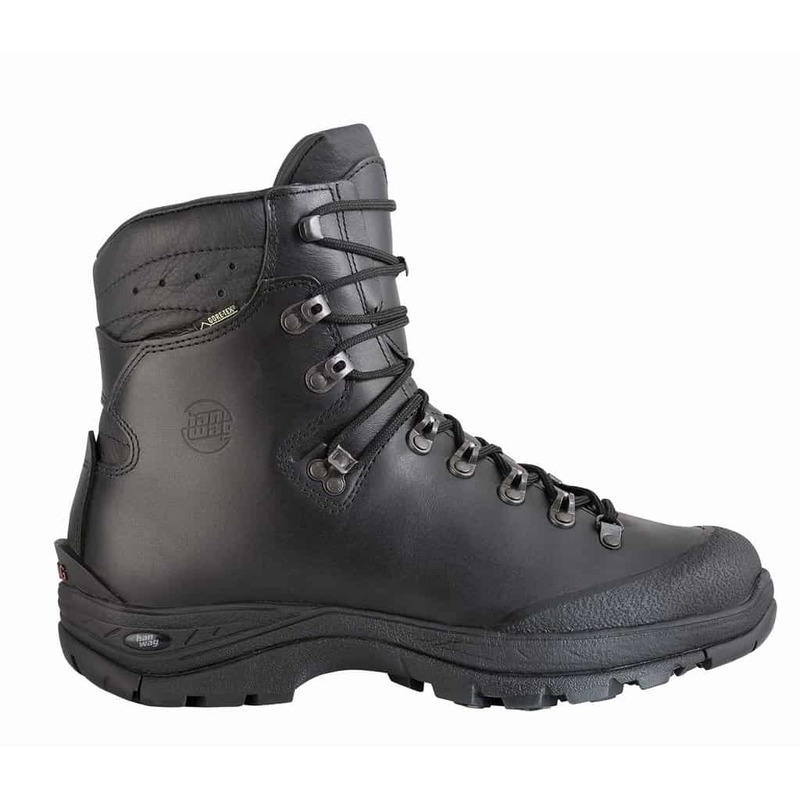 Generally, these boots are waterproof and have added insulation to withstand frigid, winter temperatures. A pair of winter trekking or mountaineering boots paired with some warm, merino wool socks will keep your feet happy, warm and dry! Ideally when it comes to socks and outdoor activities where sweaty, damp feet are a risk, you want to layer your socks. Start with a thin, moisture-wicking sock or sock liner which will work to absorb any moisture that may be produced. On top of that, you’ll want an additional merino wool sock of a slightly thicker thickness. Don’t pick a sock that is too tight or makes your boot fit too tight. When the sock or boot is too tight, there is nowhere for the air to circulate thus leaving you with a cold foot and a distraction. Try on your sock duos with your boots before you leave the house to avoid any ill-fitting surprises later. If you find you that you are prone to cold feet, pack along some HotShots to throw in and keep warm. Camping is all about finding that beautiful, peaceful spot where you can relax and enjoy the beauty of nature. The camping essentials to acquire this ideal spot will vary depending on where you are, what facilities you have if there are any and the type of weather you are facing. In the summer, you may seek out a spot with some shade or at least a few trees to make your own shade should the sun be too hot. If there is a creek or river around, you may find a bit of a breeze near there too. Facility-wise, being close to a bathroom, if there is one, is ideal so you don’t have to make long journeys there and back to use the toilet, BUT being near the toilets also has its downfalls like you guessed it, the smell. When it comes to winter camping, your most important campsite trait is the location of the sun. It can be really chilly in the winter mornings so for that extra warmth and motivation to get up, out of the sleeping bag and start your day, set up your tent so that you get the sun shining on you in the morning as soon as she begins to rise. One of the most crucial factors while winter camping is staying warm and dry so utilize the earth’s natural heater, and locate the sun. With winter camping generally, comes a mix of weather and a mix of potential dangers. Finding yourself a strategically-picked little piece of shelter from the elements will keep you safe and protected. Look at your camping location, is it more or less open and barren? Sheltered naturally by the surroundings? Are there any potential hazards nearby? Be smart. Even if it’s an unreal spot with panoramic views of the frozen lakes below, if you’re in a potential avalanche hazard area, you best be moving along. If it’s possible, knowing the wind direction would be beneficial for choosing a camp. This way you can plan which way to have your tent door facing as well as which side of a wind barrier you should set up on if necessary. Once you have selected a camping spot, get your fire started and keep it going. Be aware of the wind direction when choosing a spot for your fire and keep an eye on it while you set up the rest of your camp. This will be a good source of extra warmth and hot food or drinks if you’ve not got a portable camping stove. It is important that you keep your fire supplies somewhere that can be easily accessed so you don’t waste time digging through your pack as soon as you arrive at camp. Fire starters are a great tool for a hassle-free fire starting experience. If you’ve got a collection of dryer lint at home, stuff some inside of a cardboard toilet paper roll and drizzle some wax on top to create a homemade fire starter. Because the air can be damp, make sure you store it in a sealed tight zip-lock so it remains dry and fresh for easy lighting later. Winter camping calls for winter gear so leave your 2-season tent and summer sleeping bag at home. The main goal is to keep your body warm and dry so get gear that works. Whether you choose to sleep in a tent or create your own snow cave or igloo, a warm, winter sleeping bag and mattress combo is a must. Try looking for a sleeping bag that has a hood and a cinch cord so that you can cinch the bag tight when it’s time for bed. This will help keep your body heat from escaping and create a cozy cocoon for slumber. When it comes to sleeping pads for frigid, winter temperatures you’ll want to use two sleeping pads; a closed-cell foam pad on the bottom and a self-inflating pad on the top. They are there to provide comfort and padding as well as insulation so doubling up the pads prevents the cold ground from affecting your body temperature. For extra warmth, you can add a sleeping bag liner into your bag as well. Your tent is your shelter; your cave; your sanctuary. 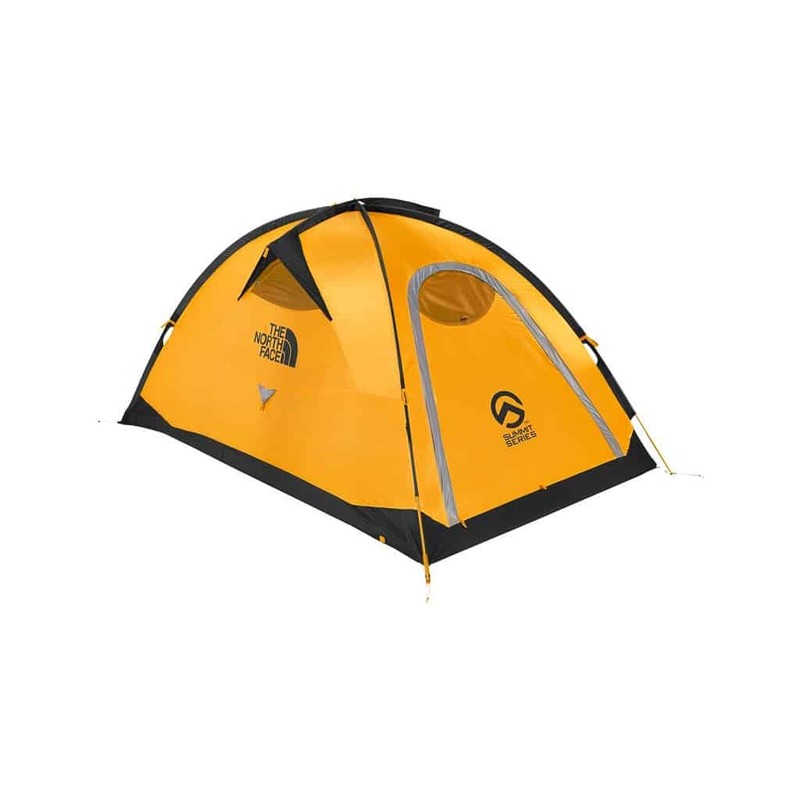 4-season tents are made with strong, solid materials and features like extra guy-lines to withstand the harsh, winter climates in order to keep you safe. They generally have a dome-shape to create a more open area should you need to take shelter in the tent for an extended period of time. 4-season tents are generally made with either a single-wall or double-wall construction. Both types will have their pros and cons and small features making one or the other more appealing to specific types of terrain and climate. If the temperatures aren’t so cold, equipment weight is an issue and wallet size is not, a single-walled 4-season tent may be your winner. If you’re headed out in the middle of a cold-front and you’re pulling a sled behind you so weight is not an issue, the warmer option being the double-wall would be your ticket. Single-walled tents usually have a quicker set-up time than double-walled although they are more prone to condensation inside. Setting up a tent in high winds can be a challenge and put a lot of stress on the tent itself. If it’s possible, build a snow wall to create a barrier between the tent and the wind. Digging a small pit in the snow is an option if you are in an area where there isn’t enough snow to build a wall. Either option will create a small barrier and allow your tent to remain anchored more securely should the winds pick up. For more details regarding tent features and picking the right one, read our how to pick the right tent guide. Here are a few small things to bring along and to keep in mind before you pack up your gear and head out for a winter, camping adventure. Water. Drink it and drink A LOT of it. Whether you drink it warm or drink it cold, mix it with tea or hot chocolate mix, just drink it even if you are not thirsty. Dehydration, along with hypothermia and frostbite, are health concerns that may arise while being active outdoors in frigid temperatures. Look after yourself and the others around you. Be aware of the symptoms so situations do not escalate to a dangerous level. Be hygienic and leave no trace. Respect nearby water sources and trails and set-up your camp at least 200′ away from them. Any garbage must be packed out with you. This includes human waste and toilet paper if you are camping at snow level (sanitary kits are available for purchase should you be packing out human waste). If you are low enough that you are able to find a little dirt patch, dig an 8″ to do your business in and bury it after. 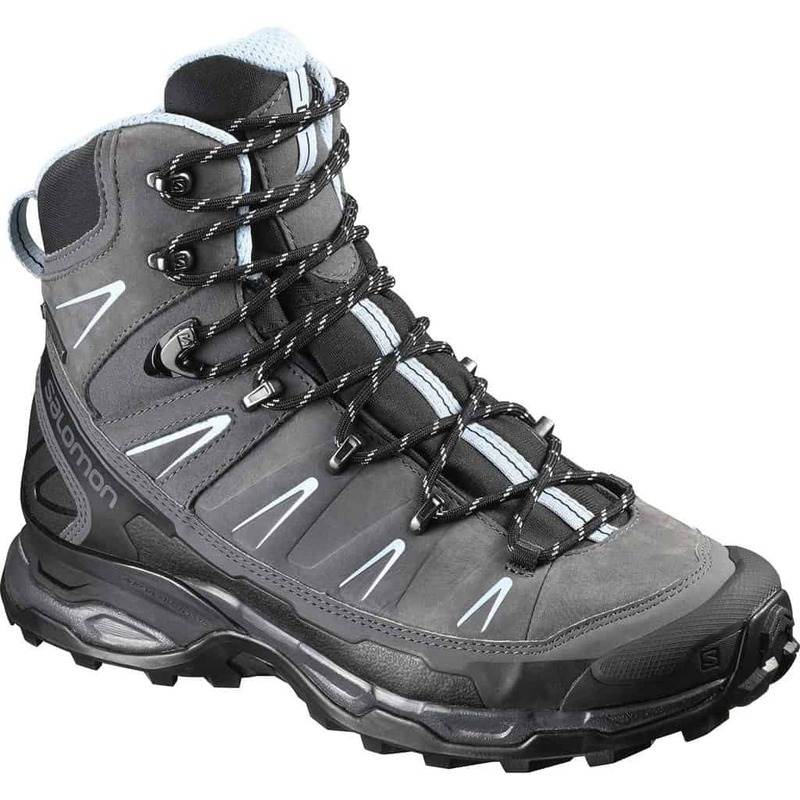 Gaiters and crampons are small and generally don’t take up too much room in a pack. Throw them in so you’re ready should the conditions call for them along the route in or to use around camp if necessary. When you breathe in a cold tent overnight, your exhaled breath will create condensation on the inside of you tent regardless if it is a 4-season tent. To avoid condensation, you can vent your tent slightly overnight by leaving a small vent open although this will allow some of the warm air inside the tent to escape. If you wake up in the morning and your sleeping bag is wet from the condensation, do your best to dry it out before sleeping in it again the following night. Sleeping in a damp sleeping bag will make your layers damp and result in a cold body. Cooking in colder temperatures is best done on liquid-fuel stoves and some sort of windscreen will be essential. If you have a small sheltered area for your kitchen, do your cooking there. If not, you can take your avalanche shovel and build yourself a small sheltered area where you can cook with ease. Wind and flames don’t mix, so a sheltered camp kitchen area is important if you want to eat hot food. Headlamps! Don’t venture out without them. A headlamp is your hands-free, night vision savior and makes every activity in the dark night heaps easier especially cooking, so don’t forget it. Adjustable poles are ideal for added balance and support when travelling through snow or over rough terrain. The adjustable lengths are ideal for those sections where poles aren’t needed and they can be shortened and attached to your pack. Last but not least, pack size. Keep in mind for winter activities there is a lot of extra gear to be considered so a larger pack with outer straps for attaching adjustable poles, snowshoes or other gear are necessary. 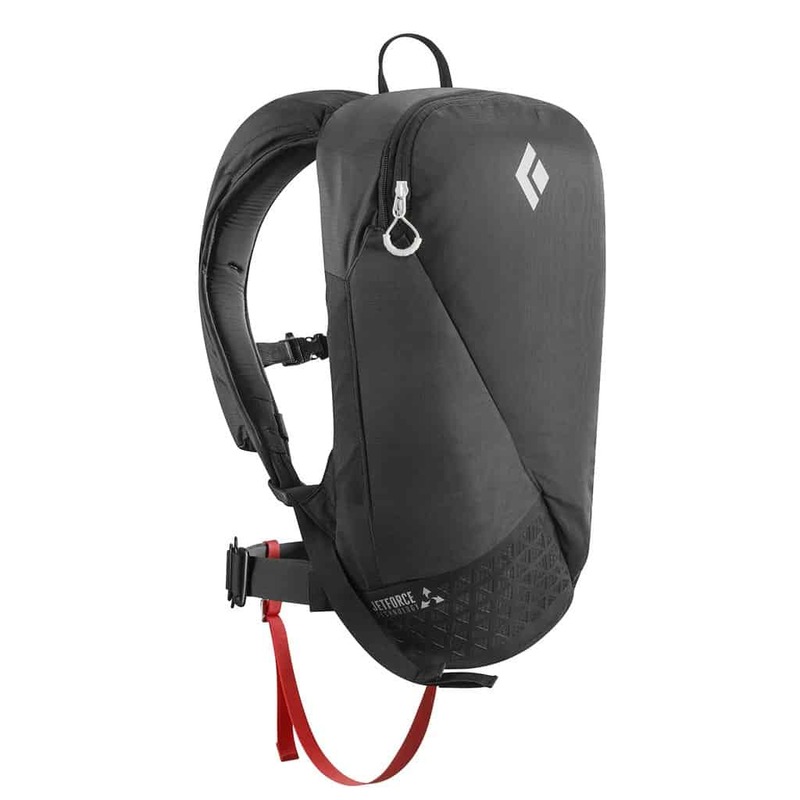 A pack between 65L and 80L would be an appropriate size for up to a four-day trip. Winter is a fascinating time of year full of endless opportunities for outdoor adventures and new experiences. Proper preparation and planning are essential for successful winter activities so be smart when you’re out there making winter memories. Share your knowledge and respect the nature that you’re playing in.